These method signatures are wrong! toLowerCase() and toUpperCase() don't have a String parameter as you can notice in the provided example code. They can indeed have a Locale parameter, but that's for localisation which is not on the OCA exam. For the OCA exam you don't need to know the CharSequence interface (it's not mentioned in the exam topics), so the authors probably simplified the signature using a String. And luckily for them (and us): String IS-A CharSequence so no problem here as well. But because they explain the CharSequence later on (for the replace method) it's maybe better to explain it here already and use the same signature as in the Oracle documentation. 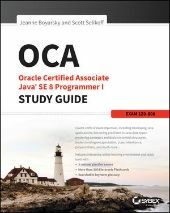 And for the OCA exam you do need to know what's an interface and what it means when a method parameter has an interface type, so using CharSequence in the method signature should be no problem at all. Nothing wrong with the equalsIgnoreCase method: it takes a String parameter and you have almost a completely free choice of the name (must be a valid identifier, e.g. java keywords not allowed). But of course an appropriate meaningful parameter name is preferred (applies also to class names, method nams, variable names and so on). toLowerCase()/toUpperCase() are just plain wrong. There's certainly no String parameter. I meant to use the signature without any parameters. (Locale isn't on the OCA exam. And on the OCP exam, Locale is on the exam, but not with respect to these methods. For equals(), contains(), and replace(), my intent was to simplify the signatures to what is on the exam. (They only test passing in Strings.) I should have clarified this 'shortcut" and will do so if we get to do a Java 9 version of the book! So while it isn't an errata per se (I did it on purpose), it also isn't accurate. I've noted both on our list. Thanks!